The 74 meter long dredger Jin Hang Bo 53 sank at Port Elizabeth, South Africa. The dredge rests on the harbour bottom. No reports of injuries. The crew were later taken ashore. An inspection found the Jin Hang Bo 53 had its hull holed allowing the water ingress. 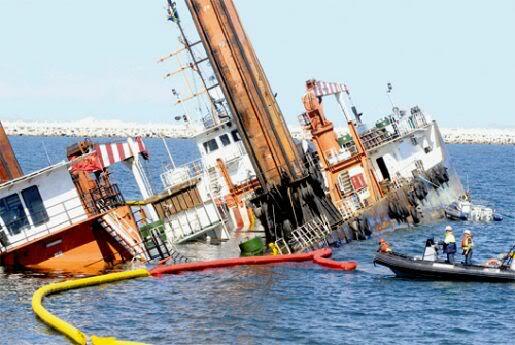 Authorities have placed a boom around the vessel to contain any pollution released. Reports state the vessel will be salvaged later.